For those people that expected Ofcom's look into pay TV to finally force Sky to come to terms with Virgin Media over Sky One there will be disappointment, with the watchdog concentrating solely on premium channels. Ofcom's look at UK pay TV decided that Sky should offer its channels to rivals for a fair price, but this excluded channels which are designated 'Basic' – such as Sky One. Sky One, of course, caused a huge rift between cable giants Virgin Media and Sky – with the former accusing the satellite company of unreasonable demands in terms of price to carry the channel. This ultimately led to the removal of Sky's basic channels – such as Sky Sports News and Sky One – from the cable company's raft of programming. For subscribers to the cable company the loss of the likes of US hits Battlestar Galactica, The SImpsons, Lost and 24 caused massive disappointment – but over a year on, the matter has not been resolved. If Sky choose to go along with Ofcom – and the sweetener of being able to finally put its premium channels on Freeview in a project called Picnic may well decide the matter – rivals like Virgin Media, BT and Tiscali will all have the option of including Sky's premium channels in their packages. But for Sky One fans – the options could well remain limited for the time being – unless an amicable agreement is found between the companies. 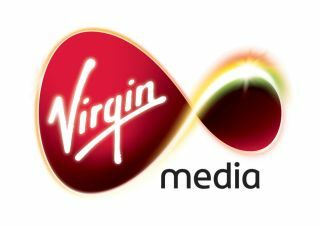 Reports in Media Week suggests that Sky Media has been trumpeting that it expects to get back on Virgin's platform by 2009, but sources within both companies have made it clear to TechRadar that this is far from certain - suggesting talks are necessary but currently stuck at an early stage.